As generations advance, technologies change and multiple options surface, newer forms of service deliveries are appearing – chatbots, employee self-service, artificial intelligence, service robots and so on. Tandoor is a clay oven popular in India for several signature dishes – be it tandoori paneer, tandoori chicken or tandoori kebabs. I had heard of, and relished, all of these but never knew any form of a tandoori drink. Our curiosity led us to the vendor, already flocked by a few customers and a few onlookers. We enquired about the concept and he merrily explained that the contents of tea remained the same; however, a quirky preparation style added a different tinge to this age-old beverage. He went on to tell us that an empty kulhad or clay pot was pre-heated in tandoor and then tea, prepared in a separate container, was poured in it. The tea would bubble in the kulhad and would eventually ooze out. It would get fully brewed in a few minutes. Then, it was poured in a clean kulhad, ready to be served with a unique earthy flavor and a smoky taste. As we placed our order for four cups, he sounded to me like a learned professor of management when he added further that people had been enjoying brewed coffee but had never applied that practice to tea. "I just added that romance of patient brewing”, he said, brimming with pride as he served a sizzling cup of tandoori chai to a customer. I closed my eyes to have a true sense of the fragrant environment. I could inhale and experience the intoxicating aromas as they dissipated in the air. By introducing a different touch, he had added rarity to commonplace stuff. What a value proposition! Can we also do it? As generations advance, technologies change and multiple options surface, newer forms of service deliveries are appearing – chatbots, employee self-service, artificial intelligence, service robots and so on. Japan has a hotel which has 90% employees as robots; banks have unmanned branches; and of course, we have automated vending machines, check-in kiosks and so on. This is an era of diminishing human interfaces and increasing automated transactions. Innovation has become a buzzword but the challenge is whether we can transform it to ‘humane innovation’ – an innovation that not only adds ease and speed to transactions but also brings a smile to a human face, not leaving him or her deprived of a rudimentary human feeling. Studies show that inclusion of a human touch or sentiment in a service adds to happiness. This tea vendor brought a twist to the traditional drink and offered a new experience to the visitors – it touched their olfactory senses! I do not know whether he knew that annual perfume industry in India was worth Rupees 5000 Crore but he had, through a simple but distinct act, achieved for his customers what most of us find complex to do at the workplace – enhance employee experience. Google – the organization - features at the top of the list of best places to work for. You dig deep and notice that their HR Department, which they call People Operations continuously engineers innovative programs to manage employee data and hence, employee happiness. Airbnb appointed a global head of employee experience in 2015 and gained impressive growth in the last two years. Netflix, which provides entertainment to millions across the globe, ensures that their own employees ‘Act in Netflix's best interests’. The company exhibited a bold innovative practice by declaring unlimited vacation time and abolishing performance reviews. The hallmark of success seems to be anchored around enhanced happiness and experience of employees, who are the first customers for an organization. 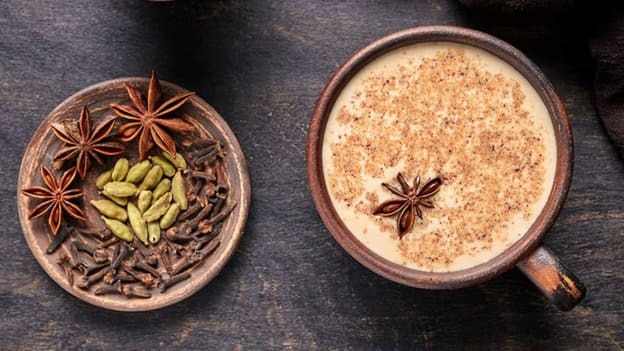 We can use technology or techniques to devise new methods such as tandoori chai, but retain the core element that touches any basic human sensory organ to strike a chord with people; and therefore, breed positivity, delight, and profit. FedEx follows a core principle – People-Service-Profit; it views employees as the direct reason because of which the organizations would achieve growth and profitability. As I took the first sip of the earthy flavored tea, I decided to go back and see how our existing service benchmarks and practices can be revisited to make them more appealing and in the true sense, more fragrant! Our friend returned with bags full of grocery and asked us to hurry. I finished sipping through the newly discovered avatar of tea and went for payment. Our friend wondered why we were getting robbed by this guy for a cup of tea costing 5 times what a normal cup of tea would cost at a roadside vendor in India. We told him that it was a different concoction. He insisted that it was the old wine in a new bottle. I parted with a new 200 Rupee note and cleared the liability for us, still wondering whether I had paid for the tea or the new lesson learnt! The dilemma persists, and so does the whiff of that hypnotic aroma. Amit Gupta is the Deputy General Manager (HRD) at IndianOil Corporation.